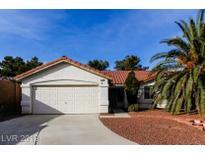 Find Silverado Ranch, NV Foreclosures for sale. View Photos, Maps and MLS Data Now! Amigo - Now a Short Sale - Open Floorplan w/ all tile floors downstairs, Breakfast Bar in the Kitchen, Laundry Room with newer Washer and Dryer included, workbench & storage in the garage, walk-in closets in the secondary bedrooms, ceiling fans and 2" blinds in every room, large covered patio, hot tub waterfalls into the sparkling pool, no neighbors behind! MLS#2086828. eXp Realty. Maryland Pebble - Needs some TLC however lots of potential- This is a shortsale MLS#2078973. 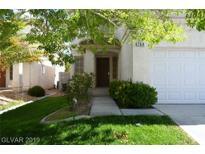 Keller Williams Market Place I.
Silverado Courtyards - Home Is Right By The Park And Grass Area! 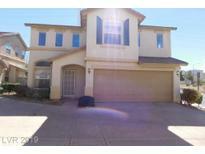 MLS#2078226. Innovative Real Estate Strateg. 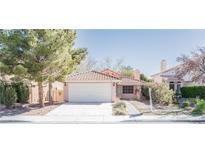 Silverado Hills - 3 Car Garage, RV Parking/Gate, Covered Patio, Balcony, Fresh Int/Ext Paint, New Tile Flooring & Carpet, CF's in all Bedrooms & so much more! MLS#2075073. Realty Executives Southern. Crystal Springs - Move in ready! Check it out today! MLS#2073914. Robinson Realty & Management. Amigo - Pool with rock grotto and built in bbq MLS#2069358. LIFE Realty District. Bermuda Serene - *This is a darling townhome in a gated community that is close to restaurants, banks, schools, casinos, freeways* New paint*2 1/2 yr old hot water heater*All appliances included*Plantation Shutters downstairs*Laundry room has cabinets*Gas glass door fireplace in living room*Water softener & Reverse Osmosis system*This is a probate sale & needs court approval which may take 60 days to close escrow* MLS#2067255. Urban Nest Realty. Spencer Pyle - The Rear Presents With A Cv Patio And A Private Pool/Spa! Needs Some Tlc From You! MLS#2065457. The Baird Group. Silverado Condo - Measurements are approximate. Buyer to verify all information. MLS#2059331. ERA Brokers Consolidated. Spencer Ridge - Inviting Single Story Home In The Foothills Of Silverado Ranch*very Open Layout And High Vaulted Ceilings*large Greatroom Opens Up To Eat-in Kitchen*cozy Fireplace*oversized Back Yard With Covered Patio*great Potential* MLS#2056680. Alajajian Properties. Agate Gilespie - No auction date it has been postponed until January. MLS#2053963. International Properties. Silverado Hills - Inviting two story beauty in the heart of Silverado Ranch*Very spacious five bedrooms layout with one bedroom and a full bath downstairs*Tri-level floor plan with front living room with cozy fireplace, formal dining room & sunken family room*Eat-in kitchen & huge upstairs loft*Roman tub and additional fireplace in master bath*Oversized and easy care back yard*Very popular location,just minutes to all the shopping & amenities*Great potential* MLS#2053274. Alajajian Properties. 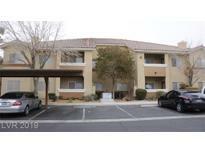 Silverado Terrace - Offers Subject To Bankruptcy Court Approval. MLS#2045119. 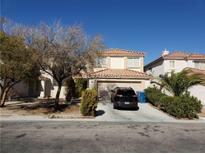 BHHS Nevada Properties. Spencer Ridge - Call Today For A Personal Showing! MLS#2032235. Realty ONE Group, Inc.
Close access to freeways. Open and spacious. MLS#2027620. Lawyers Realty of Nevada. Crystal Springs - Extent of Related Damage Unknown. Cash Only. MLS#2020113. Keller Williams Market Place. Crystal Springs - Bedroom and 3/4 bath down, Large loft, office with separate front entrance. MLS#1950581. Rustic Properties. 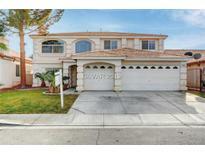 Silverado Pines - Home is at the end of a cul-de-sac. Great location. MLS#1858907. Realty ONE Group, Inc.
Silverado Condo - Located on the second level. Fireplace in living room. MLS#1586024. 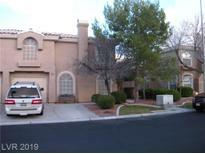 BHHS Nevada Properties.